hd00:20Professional musician. Musicians playing trumpet in the brass band. 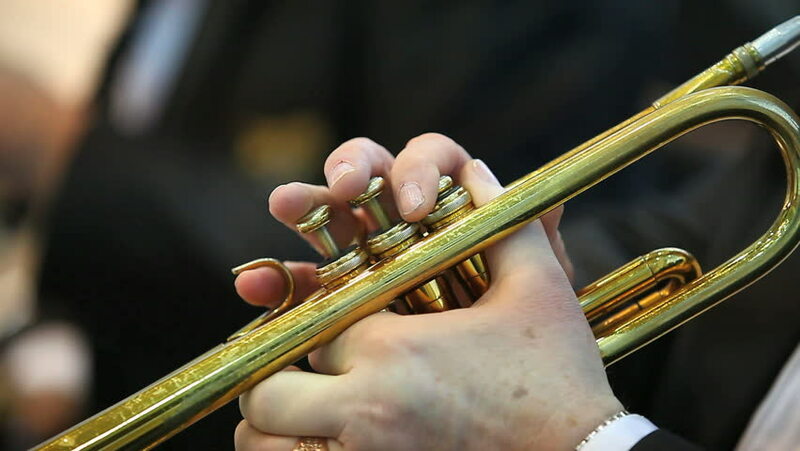 hd00:20MOSCOW, RUSSIA - MAY 09, 2015: trombones and trumpets. Close-up. Brass Band performing on the stage in the park. Festival marching bands in the city park "Muzeon." hd00:08Close-up of musician playing violin, classic music. Green nature background.